Since the elections of the 8th February, the advent of the reactionists, the nomination of M. Thiers, the patched-up and shameful peace, the monarchy in prospect, the defiances and the defeats were as bitterly resented by the valiant town of Marseilles as by Paris. There the news of the 18th March fell upon a powder-magazine. Nevertheless, further details were looked for, when the 22nd brought the famous despatch of Rouher-Canrobert. The clubs, playing a great part in the ardent life of Marseilles, were at once thronged. The prudent and methodical Radicals went to the club of the National Guard; the popular elements met at the El Dorado. There they applauded Gaston Crémieux, an elegant and effeminate speaker, now and then happy at epigrammatic turns, as, for instance, at Bordeaux. 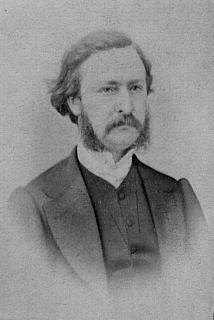 Gambetta owed him his election at Marseilles under the Empire. Crémieux at once hurried to the club of the National Guard, denounced Versailles, told them they could not allow the Republic to perish, but ought to act. The club, though highly indignant at the despatch, cautioned him against over-hastiness. The proclamations of the Central Committee, they said, did not announce any clearly defined politics. Signed by unknown names, they might well proceed from Bonapartists. This Jacobin argument was ridiculous at Marseilles, where the despatch of M. Thiers had given the signal for the commotion. Who smacked of Bonapartism — these unknown men rising against Versailles, or M. Thiers patronizing Rouher and his Ministers, and boasting of Canroberts offer? After a speech of Bouchet, the deputy of the procureur de la République, Gaston Cremieux reconsidered his first impulsive step, and accompanied by the delegates of the club, repaired to the El Dorado. There he read and made comments upon the Officiel of Paris, which he had got from the prefect, and calmed the excitement. The Government of Versailles have raised their crutch against what they call the insurrection of Paris; but it has broken in their hands, and their attempt has brought forth the Commune. Let us swear that we are united for the defence of the Government of Paris, the only one that we recognize. They separated, ready for resistance, but resolved to bide their time. Thus the excited population still checked itself when the prefect goaded it by the most stupid of provocations. This Admiral Cosnier, a distinguished naval officer, but politically a mere cipher, quite out of his element in these surroundings, where he had only just arrived, was the passive tool of the reaction, which since the 4th September had already several times fallen out with the National Guard — the civiques  who had proclaimed the Commune and expelled the Jesuits. The Rev. Father Tissier, though absent, was still its leader. The moderation of the town he mistook for cowardice. Like M. Thiers on the 17th he believed himself strong enough to make a brilliant stroke. In the evening the Admiral held council with the mayor, Bories, an old wreck of 1848, who had dabbled in all the clerico-liberal coalitions, the procureur de la République, Guibert, a timid trimmer, and General Espivent de la Villeboisnet, one of those cruel caricatures in which the civil wars of South America abound. An obtuse Legitimist, a besotted zealot, the Syllabus incarnate, a carpet knight and former member of the Mixed Commissions of 1851, [The Syllabus of Modem Errors was a papal document condemning all forms of liberalism. The Mixed Commissions were in fact set up in January 1852 after Louis Napoleons coup d'etat of the previous December. They consisted of prefects, prosecutors and selected officers to try oppositionists in areas placed under a state of siege. The accused were not allowed witnesses or counsel. 20,000 people were sentenced, and about half of them transported to North Africa and Cayenne.] during the war he had been expelled from Lille by the people, indignant alike at his utter incapacity and his antecedents. He brought the council the mot d'ordre of the priests and reactionaries, and proposed convoking the National Guards to make an armed demonstration in favour of Versailles. He would have asked for more, no doubt, but the garrison was solely composed of remnants of the army of the East and of a few disbanded artillery men. Cosnier, quite led astray, approved of the demonstration, and gave orders to the mayor and to the colonel of the National Guards to prepare for it. On the 23rd March, at seven o'clock in the morning, the call to arms sounded. The ingenious idea of the prefect had spread over the town, and the popular battalions made ready to do it honour. From ten o'clock they arrived at the Cours du Chapitre, and the artillery of the National Guard was drawn up along the Cours St. Louis. At twelve, francs-tireurs , National Guards, soldiers of all arms mingling, gathered in the Cours Belzunce. Soon all the battalions of the Belle-de Mai and of Endourre  mustered in full strength, while the battalions of order remained invisible. The municipal council, taking fright, disavowed the demonstration and posted up a Republican address. The club of the National Guard joined the council and demanded the return of the Assembly to Paris and the exclusion from public functions of all the accomplices of the Empire. The deputy of the procureur, Bouchet, tendered his resignation. All this time the battalions were marching up and down crying Vive Paris! Popular orators harangued them, and the club, apprehensive of an imminent explosion, sent Gaston Crémieux, Bouchet, and Frayssinet, to ask the prefect to break up the ranks and communicate the despatches from Paris. The delegates were discussing with Cosnier, when a terrific clamour rose from without. The prefecture was besieged. At four o'clock the battalions, on foot for six hours, had moved, headed by their drums. Twelve or thirteen thousand men having marched through the Canebière and the Rue St. Férreol drew up before the prefecture. The delegates of the club tried to parley, when a shot was fired, and the crowd, rushing into the prefecture, arrested the prefect, his two secretaries, and General Ollivier. Gaston Cremieux appeared on the balcony, spoke of the rights of Paris, and recommended the maintenance of order. The crowd cheered, but still continued to enter and ask for arms. G. Crémieux had two columns formed and sent them to the iron works of Menpenti, whose guns were surrendered. The names of the municipal council and of the club reassured the middle-class. The reactionaries continued drawing in their horns, and the army had evacuated the town during the night. Leaving the prefect in the trap into which he had thrust him, the coward Espivent, on the investment of the prefecture, went to hide himself at the mistresss of a commander of the National Guard named Spir, on whom he afterwards conferred the knighthood of the Legion of Honour for this service to moral order. At midnight he sneaked off and rejoined the troops, who, without hindrance from the people, lulled into security by their victory, reached the village of Aubagne, about seventeen kilometres from Marseilles. Thus Marseilles was entirely in the hands of the people. The victory was even too complete for heads prone to exultation. That city of the sun is not propitious to soft tints; its sky, its fields, its men all affect crude colours. On the 24th the civil guards hoisted the red flag and already deemed the Commission too lukewarm. Sidore, Desservy and Fulgéras, regardless of their duty, kept aloof from the prefecture; Cartoux had gone to Paris for information, and so the whole burden weighed upon Bosc and Bouchet, who with Gaston Crémieux, strove to regularise the movement. Having said that the red flag was inopportune, and the detention of the hostages useless, they soon became suspected and menaced. On the evening of the 24th, Bouchet, quite discouraged, gave in his resignation, but, on Crémieuxs complaint to the club of the National Guard, consented to resume his post. These disagreements were already bruited about the town, and on the 25th the Commission was obliged to announce that the most perfect accord united it with the municipal council. But the latter on the same day declared itself the only existing power, and called upon the National Guard to rouse from apathy. Trimming between the reaction and the people, it began that miserable play that was to end in ignominy. While the Liberals were imitating the Tirards and the deputies of the extreme Left, to whom Dufaure referred in his despatches, Espivent in every point copied General Thiers. He had rifled all the administrative departments of Marseilles. The treasury office of the garrison had been shuffled off to Aubagne. Fifteen hundred Garibaldians of the army of the Vosges and soldiers who were rejoining their depots in Africa were left without bread, without pay, without feuilles-de-routes, and would have remained without refuge if Gaston Crémieux and Bouchet had not caused a provisional quarter-master to be named by the council. Thanks to the Commission, those who had shed their blood for France received bread and shelter. Gaston Cremieux said to them in an address, You will remember when the time comes, the fraternal hand that we have held out to you. He was a mild enthusiast, who beheld the revolution under rather a bucolic aspect. On the 26th the isolation of the Commission became more obvious. No one armed against it, but no one joined it. Almost all the mayors of the department refused to post up its proclamations, and at Arles a demonstration in favour of the red flag miscarried. The fiery spirits at the prefecture did nothing to explain the import of the flag which they had unfurled, and, in the midst of this dull calm, in view of Marseilles looking on curiously, it hung from the campanile of the prefecture motionless and mute as an enigma. The capital of the south-west also saw its insurrection die out. Toulouse had vibrated at the thunder-burst of the 18th March. In the Faubourg St. Cyprien there was an intelligent and valiant working mens population that formed the very sinews of the National Guard, and had since the 19th relieved the watch to the cries of Vive Paris! A few revolutionaries summoned the prefect, Duportal, to pronounce for or against Paris. For a month the Emancipation, which he directed, had made a campaign against the rurals, and he had even in a public meeting emphasized his Republican views. But he was not the man to take the initiative, and refused to break with Versailles. The clubs, however, beset him, obliging the officers of the National Guard to take an oath to defend the Republic, and asked for cartridges. M. Thiers, seeing that Duportal would after all follow their lead, named as prefect Kératry, the former prefect of police of the 4th September. He arrived on the night of the 21st-22nd at the house of the general of the division, Nansouty, and being told that the garrison consisted of only 600 disbanded men, and that the whole National Guard would declare for Duportal, he beat his retreat on Agen. On the 23rd the National Guard prepared a demonstration in order to take possession of the arsenal, when Duportal and the mayor rushed off to the Capitol, the Hôtel-de-Ville of Toulouse. The mayor declared that the intended review was not to take place, and Duportal that he would tender his resignation rather than pronounce for the movement. But the generals, afraid of this outbreak of the faubourg, took refuge in the arsenal. The mayor and the municipal council, understanding it would no longer do to continue their Platonic role, fled in their turn, and hence Duportal, left alone in this prefecture, shone forth as a great revolutionary, and therefore all the more worthy of the sympathy of the National Guard. He exerted himself to reassure the generals, went to the arsenal, intimated there his firm resolution to maintain order in the name of the Government of Versailles, the only one he recognised as legitimate, and was so successful that they advised M. Thiers to keep him in his post. Kératry, availing himself of his declaration, requested his aid to take possession of the prefecture, and Duportal gave him a rendezvous before the officers of the mobiles and of the National Guard, convoked for the next day, the 24th. Kératry understood and remained at Agen. The object of this meeting was to find the volunteers against Paris asked for by the Assembly. Four officers of mobiles out of sixty offered their services to Versailles. The officers of the National Guard did not come to the prefecture, but, on the contrary, prepared at that same moment a demonstration against Kératry. At one o'clock 2,000 men were assembled in the Place du Capitole, and, their banner flying, repaired to the prefecture, where Duportal received their officers. One of them declared that, far from supporting the Assembly, they were ready to march against it, and that if M. Thiers did not make peace with Paris they would proclaim the Commune. At this name cries burst forth from all corners of the room, Vive la Commune! Vive Paris! The officers, growing hot, decreed the arrest of Kératry, proclaimed the Commune, and summoned Duportal to place himself at their head. He tried to back out, and proposed to act only as the officious prompter of the chiefs of the Commune; but the officers, inveighing against defection, induced him to come out to the square of the prefecture, where he was acclaimed by the National Guard, and they proceeded to the Capitol. Hardly arrived in the large hall, the leaders seemed much embarrassed. They offered the presidency in turn to the mayor, to other municipal councillors, who slunk away, and to Duportal, who got off by drawing up a manifesto, which was read from the large balcony. The Commune of Toulouse, it said, declares for the Republic one and indivisible, urges the deputies of Paris to be the intermediaries between the Government and the great town, and summons M. Thiers to dissolve the Assembly. The mass cheered this milk-and-water Commune, which believed in the deputies of the Left and the oppression of M. Thiers by the rural majority. In the evening some officers of the National Guard appointed an Executive Commission, composed, with two or three exceptions, of mere talkers; in this the principal leaders of the movement did not figure. It contented itself with posting up the manifesto, and neglected the smallest precautions, even that of occupying the railway station. The generals, nevertheless, did not dare to stir from their arsenal, where they were joined on the 26th by the first president of the court and the procureur-general, who launched an address calling upon the population to rally round them. The National Guard wanted to answer by storming the arsenal, and already the faubourg flocked to the Capitol. But the Commission preferred to negotiate, sent word to the arsenal that it would dissolve if the Government appointed a Republican prefect in the stead of Kératry and entirely abandoned Duportal, who, it is true, had done nothing. The negotiations lasted all the evening, and the National Guard, tired out, deceived by their chiefs, and fancying everything settled, returned to their homes. Kératry, well informed of all these failures, arrived the next day at the railway station with three squadrons of cavalry, proceeded to the arsenal, broke off the negotiations, and gave the order to march. At one o'clock the Versaillese army, 200 cavalry and 600 ill-assorted soldiers strong, opened its campaign. One column occupied the St. Cyprien Bridge, in order to separate the town from the faubourg, another proceeded to the prefecture, and the third, with Nansouty, Kératry, and the magistrates, marched on the Capitol. About 300 men filled the courts, the windows, and the terrace. The Versaillese deployed their troops and placed six guns in line at about sixty yards from the edifice, thus recklessly exposing their infantry and artillery men to the muskets of the insurgents. The first president of the court and the procureur-general advanced to parley, but obtained nothing. Kératry read the riot act, his voice being drowned by cries. A single blank-cartridge volley would have scared soldiers and artillery men, who might besides have been harassed on both flanks. But the leaders had fled from the Capitol. The courage of a few men might still have brought about a fight, when the Republican Association interposed, persuaded the guards to retreat, and saved Kératry. The prefecture was taken just as easily, and that same evening Kératry installed himself there. The members of the Executive Commission the next day published a manifesto of such platitude as to secure them impunity, and one of them got himself named mayor by Kératry. Thus the generous working men of Toulouse, who had risen to the cry of Vive Paris! were left in the lurch by those who had raised the insurrection. A disastrous check this for Paris, for the whole south would have followed the example of Toulouse if victorious. The man of thought and energy, wanting in all these movements, appeared in the insurrection of Narbonne. The old city, Gallic in its enthusiasm, Roman in its tenacity, is the true centre of democracy in the department of Aude. Nowhere during the war had a more vigorous protest been entered against the shortcomings of Gambetta. For this very reason the National Guards of Narbonne had not yet received their muskets, when those of Carcassonne had long since been armed. At the news of the 18th March, Narbonne did not hesitate, but declared for Paris. To proclaim the Commune, an exile of the Empire, a man of strong convictions and firm character, Digeon, was at once applied to. Digeon, as modest as he was resolute, offered the direction of the movement to his comrade in exile, Marcou, the recognized chief of the democracy in the Aude, one of the most ardent opponents of Gambetta during the war. Marcou, a crafty lawyer, afraid of compromising himself, and dreading the energy of Digeon in the chief town of the department, induced him to leave for Narbonne. Digeon arrived there on the 23rd, and first thought of converting the municipal council to the principles of the Commune. But on the refusal of the mayor, Raynal, to summon the council, the people, out of all patience, invaded the Hôtel-de-Ville on the evening of the 24th, and arming themselves with the muskets held by the municipality, installed Digeon and his friends. He appeared on the balcony, proclaimed the Commune of Narbonne united to that of Paris, and immediately proceeded to take measures of defence. The following day Raynal tried to rally the garrison, and some companies formed before the Hôtel-de-Ville; but the people, especially the women, worthy of the Parisian sisters, disarmed the soldiers. A captain and a lieutenant were retained as hostages; the rest of the garrison went and shut itself up in the St. Bernard Barracks. As Raynal still continued stirring up resistance, the people arrested him on the 26th; and Digeon, with the three hostages, at the head of a detachment of Federals, went to take possession of the prefecture, placing pickets at the railway station and telegraph office. To get arms he forced the arsenal, where, despite their lieutenant, who commanded them to fire, the soldiers surrendered their guns. The same day the delegates from the neighbouring Communes arrived, and Digeon set to work to generalize the movement. He had clearly understood that the departmental insurrections would soon founder if not well combined, and he wanted to hold out a helping hand to the rising of Toulouse and of Marseilles. Béziers and Cette had already promised him their support, and he was preparing to leave for Béziers, when, on the 28th, two companies of Turcos arrived, soon followed by other troops sent from Montpellier, Toulouse, and Perpignan. From this moment Digeon was obliged to ,sand on the defensive. He had barricades thrown up, reinforced the posts, and ordered the Federals always to await the attacks and to aim at the officers. We shall return to this subject later on. Paris now recalls us. The other provincial movements were but momentary vibrations. On the 28th, when Paris was still elated with victory, all the Communes of France were already swept away save those of Marseilles and Narbonne.